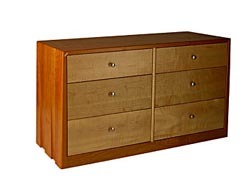 This chest is usable as a bedside or end table. It can also be made with a pencil drawer and a file drawer, suitable for use under any Hepler desk. Shown with hardwood pulls. This dresser is one of a group of pieces featuring the waterfall detail in the cherry frame. 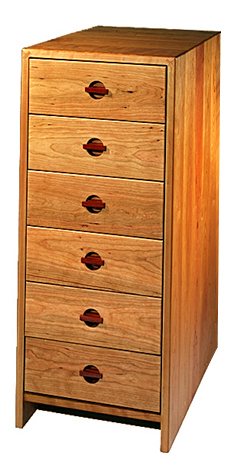 The dovetailed drawers are faced in tiger maple. 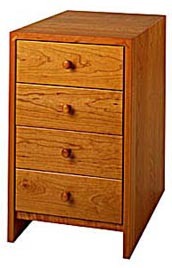 Available in custom sizes and combinations of drawers and cupboards.